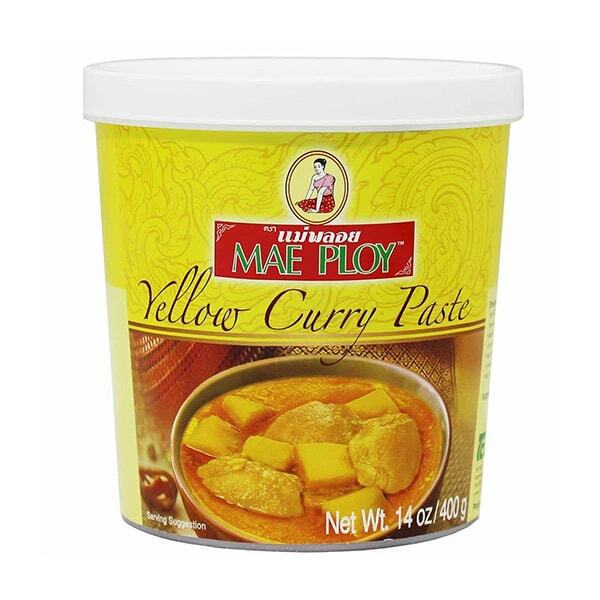 Yellow curry paste is used to make the milder yellow curry in Thai cooking. The yellow color comes from turmeric, which gives the vibrant color to the dish. The curry paste usually comes in a small can or a plastic tub. For starters, buy a small can to avoid wastage. However, the bigger plastic tub can be stored in the refrigerator easily for months without losing its flavor and fragrance.